Students aiming to revolutionise recycling won first prize at the Make-A-Difference final at Imperial this week. Team Matoha won both the overall winners’ prize and the new accelerator prize for their work using infrared spectroscopy to develop a low-cost tool that would identify different types of plastics. They will receive prize funds of £1,000 and £6,000 respectively. The team is made up of undergraduate students Hans Chan (Chemistry), Martin Holicky (Chemistry), James Kung (Physics) and David Dai (Physics). Plastics are currently sorted by hand at many sorting plants due to the high cost of identification tools, but many plastics that should be recycled differently look the same to the naked eye, the team explained. Team Matoha is using infrared spectroscopy to develop a tool that would maximise sorting efficiency, resulting in more plastic waste being recycled and less plastic waste in landfills. The Make-A-Difference competition challenges undergraduate students to develop low-cost technology with a positive social impact. This year four teams were given lab space, funding, and guidance from academic mentors as they competed for the prizes. The winning team was selected by a panel of judges made up of Dr Ruth Allan, Business Performance Consultant at HT Consultants Ltd, Imperial College London alumnus Dr Allan Samuel (who also sponsored the accelerator prize), and Imperial College London academics Professor Sir John Pendry, Chair in Theoretical Solid State Physics, Professor Dame Julia Higgins, Professor of Polymer Science and Senior Research Investigator, and Professor Lord Robert Winston, Professor of Science and Society and Emeritus Professor of Fertility Studies. The winners were announced at the grand final event on 25 October. Along with the overall winners’ prize, this year the organisers introduced the accelerator prize, a £6,000 award to help one team further develop their project beyond the main competition and lab placement. The £1,000 overall winners' prize was sponsored by TTP, and presented to the winning team by company members James Lazarus and Jianye Wang. The other three finalist teams were Team TB Detect, who are developing a fast and inexpensive test for tuberculosis, Team Debac, who are working on a a new method for early detection of surgical wound infections, and ThinAir, who are creating an innovative biomembrane which collects water particles from the air. 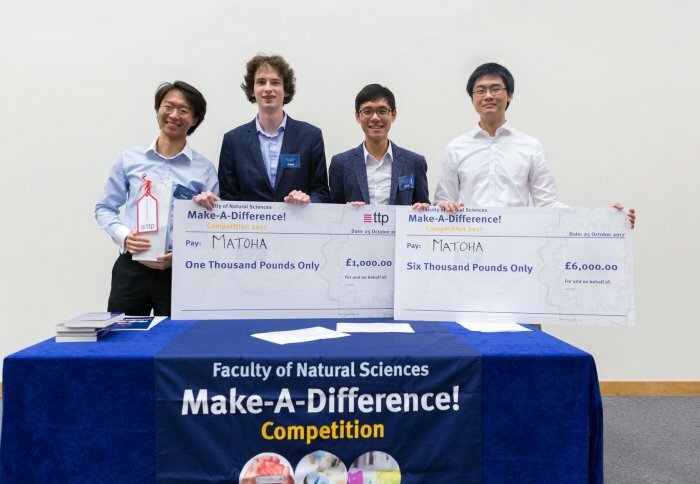 Run by the Faculty of Natural Sciences, the Make-A-Difference competition is currently in its fourth year. 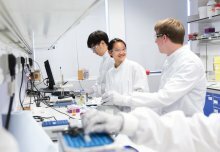 Over 100 undergraduate students attended the workshops this year, and 14 teams of students from across the departments of Chemistry, Mathematics, Life Sciences and Physics, as well as from Medicine and Engineering, applied to take part in the competition. 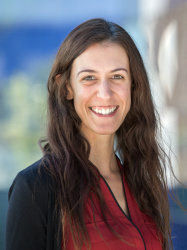 “This competition embodies what it means to create the right space for invention and innovation," said Dr Ruth Allan, one of the judging panel. "More universities and organisatons should be doing this."